Correct Wheel Sizes, PCD, Offset, Rims and Tire specs for Audi Q5 series. Hello, I have a 2010 Audi Q5 with 19" rims. I am looking to purchase a set of tires/rims from a 2009 Audi A4 with an Avant Premium Sport Package with 225/50/17 tires and rims. He says it is a 45mm high positive offset. Will this rim fit on my Audi Q5? Would my old 17" S4 wheels mounted with fairly new Michlein Snow tires fit my recently purchased 2010 Audi Q5, 3.2 with 18" wheels currently ? I don't think they fit, Assuming your "old" S4 is a 2003-2006. Bolt pattern would be good at 5 x 112 but the center bore on the S4 is smaller at a 57.1mm and on your Q5 is larger at a 66.45mm. Hi,Barry Giordano,You doest not require spacer or nuts,the little different will not effect your rims. Hi,Marg.I does not recommand you to use wheel which offset is 45mm,the offset is too big. Hi, My Audi Q5 has factory fitted 19" alloys so the ET should be 39. Would an 19" alloy wheel with an ET35 be to too low? Visually it looks like an extra 4mm would be OK. Thanks. Hi, I want to fit winter tyres to my Q5. Will 19x8.5 wheels be suitable for the car together with 235/55/19 tires. My 2014 Q5 has 235/60/18 with an offset of 39. I have purchased rims with 235/65/17 winter tires on them. The offset on these rims is 58. I plan on putting a 20mm spacer and longer bolts. I shouldn't have a problem right? I should also mention that the new rims are 8.5" and I believe my Q5 is an 8" rim. So would I be better to go to a 25 or 30mm spacer? Hi, one of my customers asked the question "what size of space saver will he need when his wheels that are on the vehicle are 255/45 R20" can anyone help him out here. Wondering if my winter rims from my 2013 Q5 (235/60R18) are useable on a 2016 Q5 (255/45R20)? Hi,Delaney, Kevin,Yes,255/45/20 is for Audi Q5 sports edition ,We will update it asap. Hi,Glen Muthiah,Can you show both tire size?It can help to confirm it. Hi, I bought some used winter rims from a 2009 Q5 (OEM Audi - 7J x 17 ET 37) and planned to mount them on my 2017 Q5. The required offset on the later Q5s is 39, so 2mm difference. Do I need to add spacers to clear the brake calipers etc? Is this something commonly done, or would I better off waiting to find some Audi rims with the proper offset? Thanks! Hi,DR,Normally,The offset error is +-5mm,So,if the offset difference is 2mm,it is compatible. Hello, I bought some used winter rims from a 2009 Q5(OEM Audi - E8Jx17 H2 ET39, 8R0601025G) and i planned to mount them with Michelin Latitude Alpin LA2 235/65 R17 104H M+S AO on my Audi Q5 2017 2.0 TDI - 190HP Quattro. I would like to ask you if it s ok to combine them? The manufacturer require for the above winter tire, rims 7Jx17 ET34 !? Thank you! Hi, curent tire and rims size is : 255/45R20 101 W and 8Jx20 ET 39. Thank you ! Hi,Liliana,The 255/45/20 is compatible with 235/65/17.For the rims,you can try it. Hi,Bryce T,From your data,It is compatible.You can try it. I have a 2018 Q5, with 235/55/19 tires and rims, I want to step down to an 18 inch rim for winter tires, what is the exact size I would need to purchase in rims? Hi,Josh,These two tires are not compatible. Hi,Lindsay,Yes,if for stock wheels and tires,You can use it. 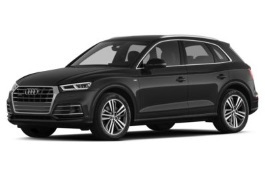 I have a 2009 Q5 2.0 TDi SE Quattro 177 with 255 45 20 tyres can I put smaller alloys on this model I didnt get a full answer from audi direct. Hi,Andy,If smaller alloys means wheel size lower than 20'',you can't do it. I can get some Audi A5 coupe wheels 19" 9j ET33, I want to replace my 2013 Q5 standard 235/65/17 wheels with them. I need to change tires on my Audy Q5. 255/45/R20 are the actual tires. Can I install a wider tire in the back? Hi,Elias,what your current tire size?I can help you confirm it. 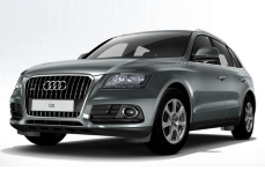 Hi,Chris,What the year of your Audi Q5?I can help you confirm it.